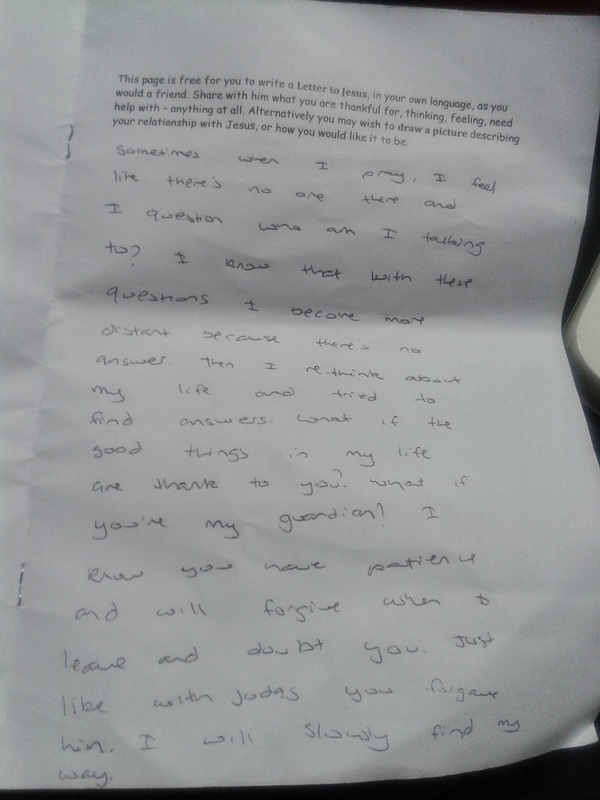 Today I had my year 12 retreat which was supposed to be like an inspirational talk about growing up. I had a great day. The place was beautiful. It was near a beach and the sand was so clean. It's a great place to relax. The only embarrassing thing was confessing something about me and I said I wanted to be a witch. Yea I told them not to judge me but oh wells I knew they would. I also felt a lot closer to Jesus than I ever was. I was questioning whether Jesus was real and who I am talking to when I pray. Let me start off with the booklet that made me slowly accept Jesus. 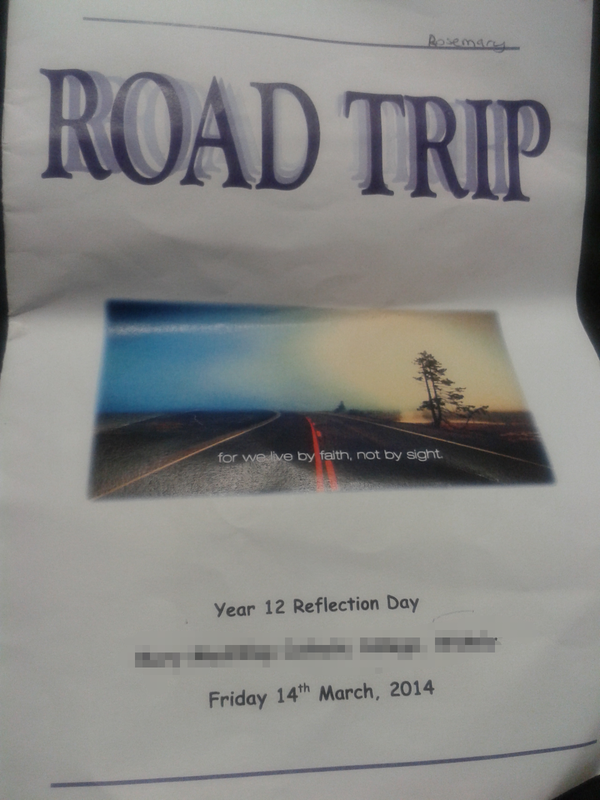 The theme of the retreat was 'Road trip' in other words it means journey. The journey in the right path in life. 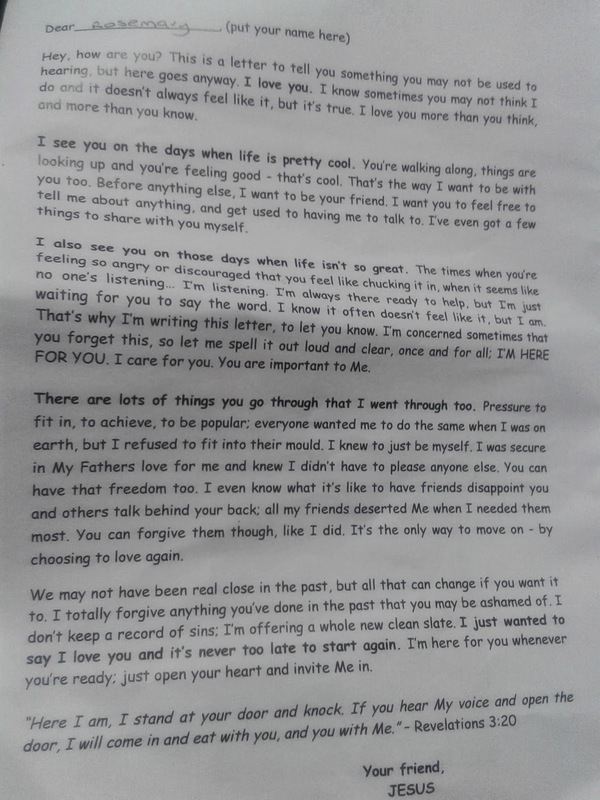 This letter from "Jesus" was touching. It reached to me. "I'm always there to help but I'm waiting for you to say the word" I started to pray asking Jesus for help. "Just open your heart and invite Me in"
My letter to Jesus. Okay if you can't read my writing I shall re-write it. Sometimes when I pray, I feel like there's no one there and I question who am I talking to? I know that with these questions I become more distant because there's no answer. Then I re-think about my life and try to find answers. What if the good things in my life are thanks to you? what if you're my guardian angel? I know you have patience and will forgive when I leave and doubt you. Just like with Judas, you forgave him. I will slowly find my way.